One of the great European melodic hard rock bands, Outloud, is back with their third album, Let's Get Serious. To be more correct it's more a Greek and American collaboration with the awesome vocalist Chandler Mogel fronting the foursome of Greek musicians. Outloud: black is their favorite color. 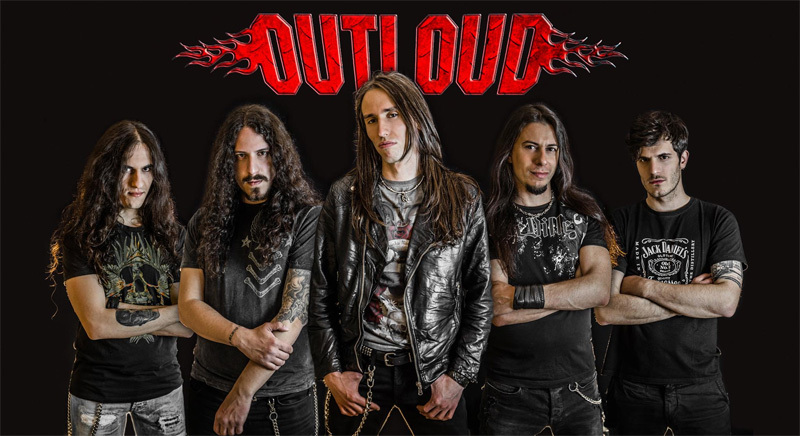 As you may recall from the previous two albums, Outloud creates some darn tasty and catchy melodic hard rock rolled up in an AOR wrapper. However, listening to the first song, Death Rock, they may throw you off. It comes off as some cryptic blend of heavy rock with, at times, the pace of speed metal. 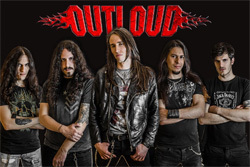 It's still has melody, but it's more raging and heavy than one might expect from Outloud. Toy Soldiers strikes a similar chord: heavy, nearly moving like a power metal song, with a powerful solo from Adrenaline Mob's Mike Orlando. But in between, there's the classic AOR melodic hard rock which they do so well. I Was So Blind, the first single, Like A Dream, One More Time, and Bury The Knife move with powerful arena ready and steady groove and melody. Bury The Knife is one of the longest numbers, and about two-thirds bursts into that aforementioned power metal groove. In the middle you get a bit of break, with an acoustic guitar ballad dialing things down. But the catchy melodic rock returns with All In Vain, A While To Go, and Let's Get Serious, and instrumental, some of the best thanks to Bob Katsionis' sharp guitar work. But all the players excel here, with kudos to Nile drummer George Kollias who handled all the drums on this album. Finally, in an interesting choice for a cover song, Outloud reinterprets 1980's Enola Gay by new wave band Orchestral Manoeuvres In The Dark (OMD), giving the song a harder and fasteer groove, with the guitar basically taking over the synth line. Though album cover art is kind of dumb, Let's Get Serious is a strong return for Outloud, offering genuinely catchy classic AOR melodic hard rock. Easily recommended. Let's Get Serious is a strong return for Outloud, offering genuinely catchy classic AOR melodic hard rock. Easily recommended.